So a couple of my predictions - DeciPlume and Volcanion - were dead on. I'm quite pleased with how the model predicted DeciPlume to finish first in CP - all the data from Utah and from April's League Cups, combined with my formulas, indicated it would finish first, although many top players wrote the deck off somewhat. My prediction for Gyarados was quite close, and although I missed the mark a bit with Turbo Dark and Yveltal, those weren't too bad either. Lapras: Should've Used the Harsher Model? Rainbow DeciPlume: Kettler Was Right! Five of the top players in the world - Alex Hill, Michael Pramawat, Sam Chen, Jimmy Pendarvis, and Joe Bernard - elected to play Quad Lapras at Brazil, a choice which unfortunately proved fatal for each of their tournament runs. I had studied Lapras quite a lot prior to Brazil, since it showed a lot of popularity in League Cups but was largely unproven at Regionals. Interestingly, I developed a model that was very harsh on Lapras, placing it outside of the Top 10 in the Power Rankings, but I eschewed this model in favor of another which I felt was more accurate for the rest of the meta. This discarded model actually proved to be a bit more accurate than the one I actually used: it kept DeciPlume and Volcanion at the top but was kinder to M Gardevoir and M Rayquaza, decks which in actuality performed pretty well at the event, as well as harsher to Lapras, Tauros, and Dark Dragons. So now what's the consensus on Lapras? I asked Jimmy Pendarvis on Twitter (@Ginge_TCG) his thoughts on the deck with regard to his tournament run. He said he doesn't regret playing the deck - in fact, it "felt amazing" against his competition, but he "was unlucky on [coin] flips," going "0/7 on Crushing Hammer against Rainbow Road." Where am I after conducting these interviews? Honestly, Lapras is still kind of an enigma. 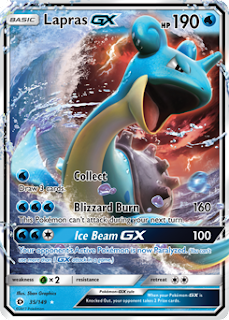 TLDR: One of the models I nearly used was very accurate in predicting Lapras's performance in Brazil - BUT, this model was based on my apparently faulty assumption that the deck generally loses to Volcanion and DeciPlume. I'm going to pay careful attention to this deck when I construct my Roanoke predictions, and I'll being doing several simulations with different models to make the most accurate estimate I can. Shoutout to the almighty John Kettler for predicting this one, because I (and most of the top players) got it completely wrong. I actually had this deck ranked very highly (#4, I think) entering the third weekend of April League Cups - but after a no-show performance there, it dropped something crazy like 20 spots. And then, seemingly out of nowhere, it got first place in Brazil. I faced a similar scenario with these two decks. I predicted Dark/Dragons to perform pretty well in Brazil, while I had Gardevoir outside the top 10. In reality, the exact opposite was true. Unlike with Lapras and Rainbow DeciPlume, I believe I can say exactly why this was. Gardevoir is a very consistent deck with a lot of 50-50 (ish) matchups. It's a deck you play in a "blind field" - a large tournament with a wide-open meta. Rather than taking a risk on a deck designed to counter the meta, and sacrificing consistency, you can choose to go in with a deck that is practically guaranteed to get you some wins, albeit in close games. I don't think Gardevoir matches up well against DeciPlume, but against everything else, it stands a solid chance. I'm planning to research this concept of "blind field" decks further. Dark Dragons, by contrast, is not a "blind field" deck. It's a very specific meta call a player makes when expecting a large amount of Special Energy decks - Vespiquen, for example, or M Mewtwo. The power of Chaos Wheel is fantastic against these kinds of decks, but Dark Dragons is not as consistent as its counterpart Turbo Dark. 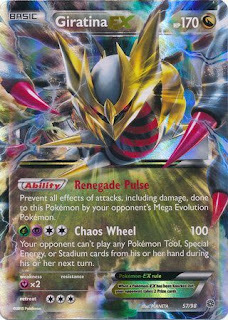 Turbo Dark was a better choice for Brazil because there was no indication going into the event that Special Energy decks would be popular; therefore, playing Dark Dragons would have been a sizable risk. Going into Brazil, I had the Espeon-GX variant of M Rayquaza ranked highest (#8). The version that actually ended up doing well at the event was the Fire variant, which I had ranked #14. (Jolteon-EX was at 15; Metal was tied for 21.) This is interesting to me. Virtually all the League Cup data I'd gathered in the week prior to Brazil showed the Psychic variant performing well. I'd assume that this variant is simply more suited to small tournament play, and a different type of Ray was needed to succeed in a larger tournament. This is another thing I'd need to account for in my models. While we're on the subject of Rayquaza, I want to point out a couple of interesting variants. One of the Brazil decks played Fire Energy but no Volcanion-EX - the Energy were solely to take advantage of Scorched Earth in the Volcanion matchup. Another played Gumshoos-GX, a style which saw a small amount of League Cup success and which I actually predicted would be a good play for Brazil.